Leaf River Quilt Company was established in January 2010 and is located along IL Route 72 between Forreston and Leaf River, IL. 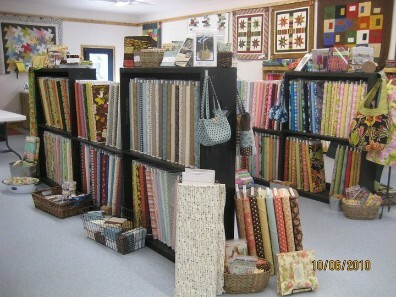 The shop continues to grow with products and classes to meet the needs of quilters with all levels of experience. Taught by my mother, I began sewing myself at age 10, and even made my dress for the high school homecoming dance! I continued practicing my skills by making clothes for my daughters (and their dolls!) along with creations using crochet, cross-stitch, and quilting techniques. Since my four children are now educated and grown, I've had the opportunity to start LRQC to share my love for creating and designing fabric wonders with customers and the community. Adjacent to the home I share with my husband, the quilt shop has graciously blossomed into a wonderful environment to sew and create a variety of projects.